ETY-Plugs Hi-Fi Musician’s earplugs. 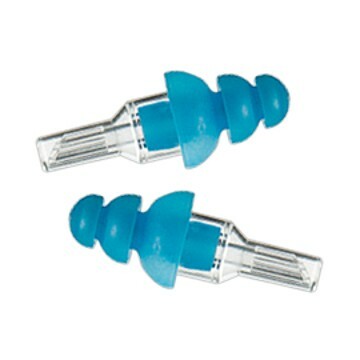 1 pair standard size with blue silicon tip and clear stem. Complete with case, neck cord and keyring chain. Low cost re-usable High Fidelity noise protection for musicians, DJs, studio engineers and club or bar staff. Regular use of these earplugs while practicing, performing or listening to music will protect the user from the cumulative effects of overexposure to loud sound. Made by Etymotic Research Inc, the world leaders in protecting hearing from damage.